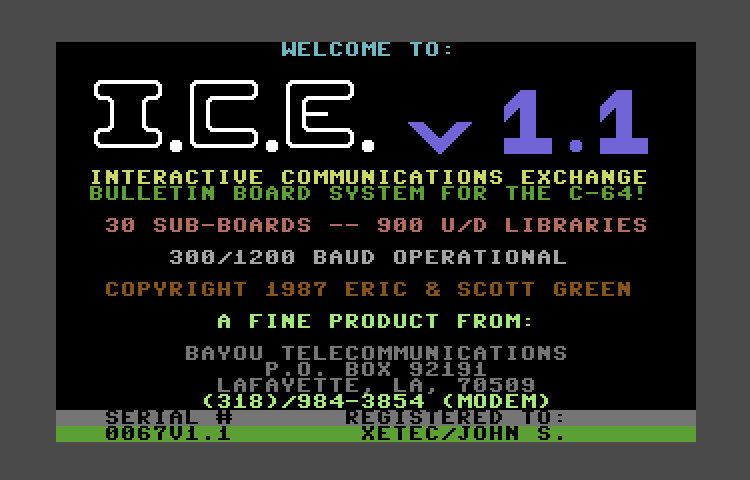 Eric Green, one of the co-authors of ICE BBS, has licensed ICE BBS v1.1 under the GNU General Public License (GPL). This is effectively the same as releasing it to the Public Domain; it just means that you can't put your own copyright on it, basically. I scanned in all 122 pages of the original printed manual. This is the manual and d64 disk images of both sides of the original disk.